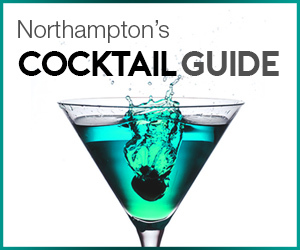 At the Northampton Gent, we are dedicated to exposing the quality that resides within Northamptonshire. So it seems only natural that we had to do a piece on the extraordinary Warner Edwards. The young Harrington gin distillery is just over a year old and has made an international splash on the gin scene, winning a wide array of awards globally for their remarkable gin. On a sunny winter morning, we went down to visit Tom Warner and Sion Edwards at falls farm in Harrington to find out more about the duo and their gin. Gin has historically suffered somewhat of a sordid past, gaining the less than desirable nickname ‘Mother’s Ruin’. This was due to the social problems it caused in the 18th century when the Government allowed the production of unlicensed gin, leading to an age of unbridled binge drinking on low quality gins. Fortunately times have changed (well, for gin anyway) and first rate gins are now more popular than ever. A rise in boutique distillers focusing on flavour has led to a large amount of consumers who are eager to enjoy the delicious and original gins on offer. 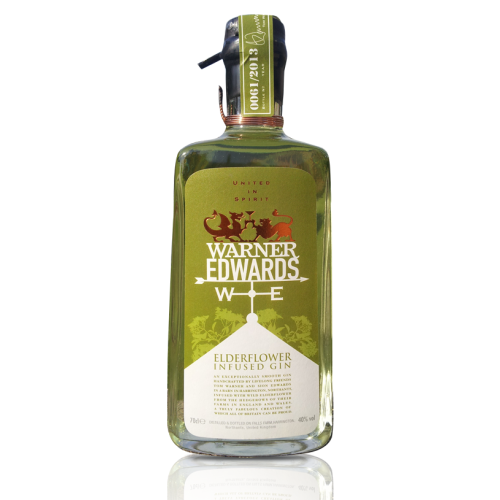 One of the boutique distillers leading the way in creating high quality gins is Warner Edwards. 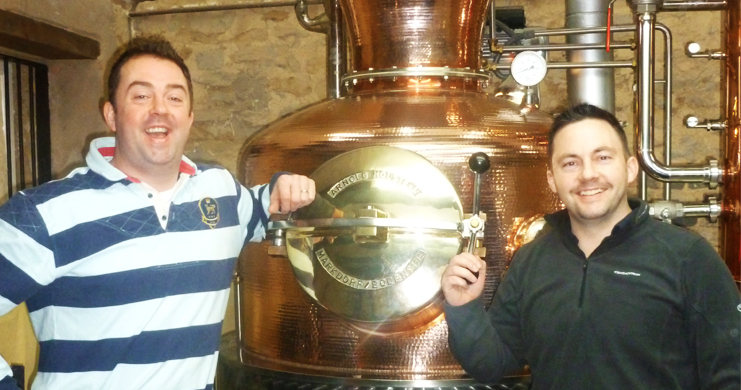 The distillery is owned and operated by university friends Tom Warner and Sion Edwards. Having met at university in 1997 and going off to live their individual lives, the pair decided in 2010 to take fate into their own hands and start a business together. With both being sons of farmers, the pair began to think about what they could produce using what was available to them. After brainstorming various ideas, including producing essential oils, the two entrepreneurs looked set to produce vodka at Sion’s farm in North Wales. After some more research and planning however, they had a rethink and chose their favourite tipple; gin. As we entered the converted farm and sat in the cosy office, it was a stark reminder that Warner Edwards, despite their beautifully packaged bottles and award winning gin, is still just a small, two man team and relative newcomer to the industry. Regardless of their size and age however, Warner Edwards have achieved in only 14 months more than many of their contemporaries have in years. Tom began to take us through Warner Edwards’ story so far, starting with their unique branding. At first glance, the ‘W’ and ‘E’ seems to simply represent the two gentlemen’s names; however Tom explained that there was much more to it than that. The brand subtly represents the pair’s heritage. The weather vane image relates to the Tom and Sion’s farming backgrounds, whilst the ‘W’ also embodies the west and Wales, where Sion hails from. The ‘E’ on the other hand symbolizes the east and England where Tom originates from, with the Welsh dragon and English lion uniting under gin. It is all very clever and it is this attention to detail for every aspect of their brand and gin that has led to such great acclaim in such a short time. Before crafting their own gin, Tom jokes that their only experience was through imbibing the spirit, which meant the pair had to learn their craft from scratch. As they took us through their tremendous journey from gin novices to experts and the different skills they had to develop, including building their still ‘Curiosity’ by hand, it is clear that their degree of dedication to their business is remarkable. The pair spent a total of four and a half months testing different flavours to perfect the recipe before they started production and laugh as they explain that their first recipe was actually the winner. Being the perfectionists they are however, they had to experiment and test as many flavours as possible to be sure that what they had was the best. It is this drive to provide the highest quality gin that has stood Warner Edwards in good stead, including winning a silver medal at the San Francisco World Spirits Competition 2013, silver in the International Wine and Spirits Competition and also appearing on the BBC’s Countryfile. With such global acclaim after just a year, we asked Tom and Sion what is it that makes their gin stand out in a market of over 400 different brands. Tom explains that their distillery uses a very unique means of creating their gin, employing the London Dry method and importantly the “One Shot Distillation Technique”. This process involves distilling the botanicals with the spirit, rather than the cheaper alternative of creating a concentrate which is blended with the neutral spirit. Whilst this means the overall process is more expensive and they have to produce in small batches, it also means nothing comes above the quality of their gin; something which is truly admirable. Warner Edwards use juniper, coriander, cinnamon, cardamom as well as a host of other secret botanicals to create their award winning gin. Curiosity, their copper still, is an Arnold Holstein hailing from Germany and custom made for Warner Edwards. 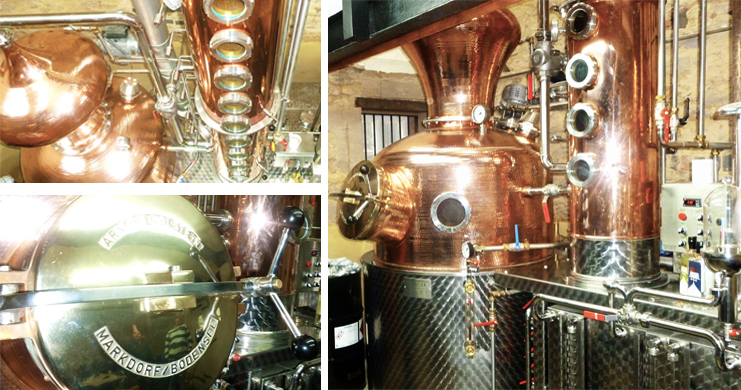 Tom describes it as the Rolls-Royce of stills and is one of the major factors in the smoothness of their gin. The two friends run the entire distilling process themselves, from collecting the natural spring water from the farm to the bottling. Speaking with Sion, he explains the big brands have the ability to shout about their gins whereas Warner Edwards have not got that option, so instead the gin has to do the talking and in his words “has to be top draw”. 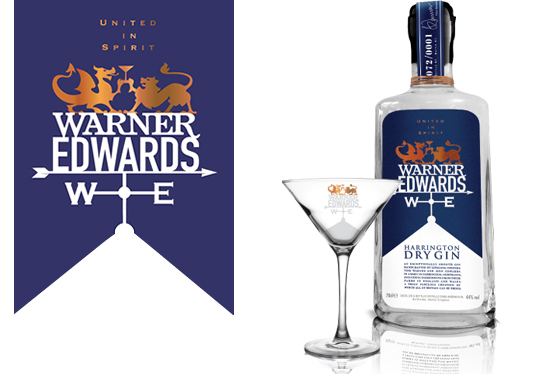 With this philosophy driving everything Warner Edwards do, it is clear to see why their spirits are being so well received by gin lovers across the globe. Having tasted the Harrington Dry Gin and been lucky enough to have sampled their seasonal Elderflower expression, we can certainly attest to the quality of the gin. On a chilly night we sampled the two gins, starting with the Harrington Dry. As the fantastic smell of the aromatic liquor hit us we knew we were for a treat. Citrus notes and juniper immediately greeted our palates, followed by a wonderfully spicy flavour as the coriander and cardamom made their presence known. 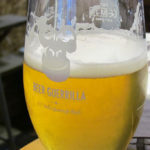 The remarkable smoothness and warmth means it is thoroughly enjoyable neat, whilst the unique and strong flavours would also make it a brilliant base for gin based cocktails such as martinis and negronis. The Elderflower expression is distilled during the summer months when the pair is able to source the elderflowers locally from the hedgerows surrounding both the Harrington farm and Sion’s farm in Wales. Only 2000 bottles were made in 2013 so we were extremely lucky to be having a taste on a cold winter evening. As we had our first sip, it was almost as if we had been transported back to some warm summer evening. The gin is very similar to the Harrington Dry in way of aroma, but with the elderflower scent really coming to the forefront. This is carried through to the taste, with the elderflowers being a really prominent flavour along with juniper, ginger and lemon. It is sweeter than the Harrington Dry but has the same signature smoothness which makes it a very easy gin to sip by itself or could be added with tonic to give a refreshing and unique twist. Along with these two, Warner Edwards also do a sloe infused version. Whilst we have not had the good fortune to sample this yet, it has garnered a good reputation amongst customers for its exceptionally fruity flavour. What makes this sloe gin even more special is that all the berries were handpicked by local residents of Northamptonshire, who volunteered to collect the sloes in return for a bottle of the amazing gin. It is a brilliant example of a local business and the local community helping and supporting one another in Northamptonshire. We asked the two gin gentlemen about their preference of cocktails and received quite a few recommendations. The pair each had a number of cocktails which they are personally fond of, with Sion being partial to a White Lady and Clover Club whilst Tom prefers a Clover Leaf and Elderflower Gimlet. The two both agreed on their love for good Martinis and their hatred for a bad one. Using all our powers of self restraint to resist making a cheesy James Bond ‘shaken, not stirred’ reference, we asked the two what makes a good martini so we know what pitfalls to avoid. The answer was simple; “let the gin do the talking.” A bad cocktail will usually be made from poor spirits and try to overcompensate for this by using a host of other (usually sweet) ingredients and garnishes in an attempt to hide this fact, leading to cocktails filled with sugar and ice. The spirit should be the star of the show and complemented with other ingredients and flavours that enhance the spirit rather than overpowering it. Tom also let us on in a little secret of his as well; a Chocolate Negroni. Made the same way as a normal Negroni but switching the Campari for a Chocolate Vermouth. Listening intensely and writing down the tip, we’ll be sure to give it a try. After such an impressive first year and receiving so much international praise, the two farmers remain extraordinarily modest and forever the perfectionists, saying they are constantly tweaking and refining their processes to improve the quality further. Speaking to Sion on their success in 2013, he is happy that people are enjoying the gin so much, saying “it’s overwhelming to think people are loving what we are doing.” When we ask them what the craft distillery has planned for 2014, Tom replies that his eyes are set on gold for this year’s competitions. And after the year these gin aficionados have had, we do not doubt that they will achieve it. 2014 will see another Elderflower edition and Tom also tells us that there will be “an exciting new flavour coming this summer”. He does not give away anymore than this little teaser and leaves us eagerly waiting to see what delights the summer holds. Seeing something so unique and high quality produced in Northamptonshire is truly inspiring, creating a brand that is built on friendship, heritage and embedded in the local community. If you have yet to taste Warner Edwards gin, we would highly recommend investing in a bottle and finding out what all the global fuss is about. 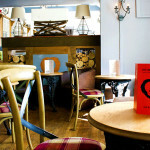 Take our word for it, you will not be disappointed. 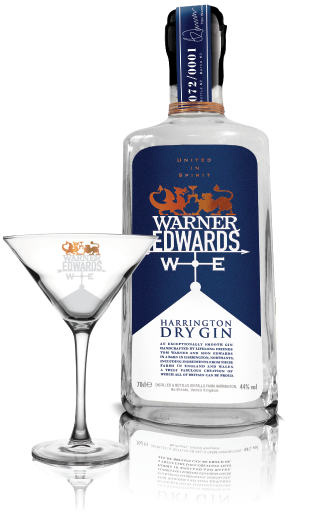 The gins are available to order for the Warner Edwards website www.warneredwards.com. Brilliant gin, received some as a Christmas present and struggled to make it last! Works really well in a gin and tonic. I’ll definitely be getting some more.